We had a lovely and encouraging comment on our sister blog from Martina, an American Croatian living in California. 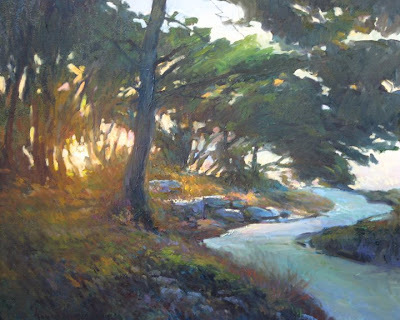 Her father is an artist educated in Split, originally from Dugi Otok, and he paints bright, beautiful pictures of Croatia and California. He believes that the images of Croatia, and Dugi Otok in particular, have a strong influence on all his work. Today's illustration is his painting of Bozava on Dugi Otok and you can read more about Mario Mirkovich, and see more of his paintings, on Martina's blog http://mirkovichfineart.blogspot.com or Mario's website www.mariomirkovich.com. Thanks to Martina for making the effort to get in contact with us and helping us discover yet another very talented Croatian!